There is little chance of running out of things to do in Antigua. 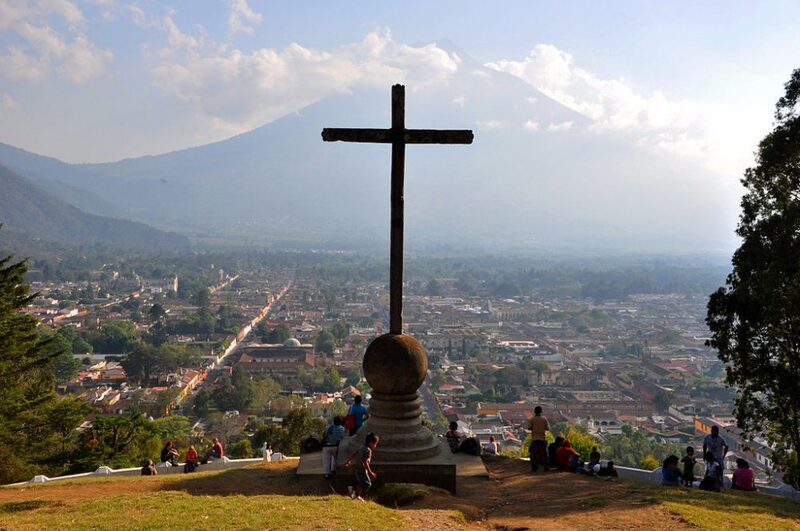 Antigua, the “Land of Eternal Spring” is Guatemala’s top tourist destination. 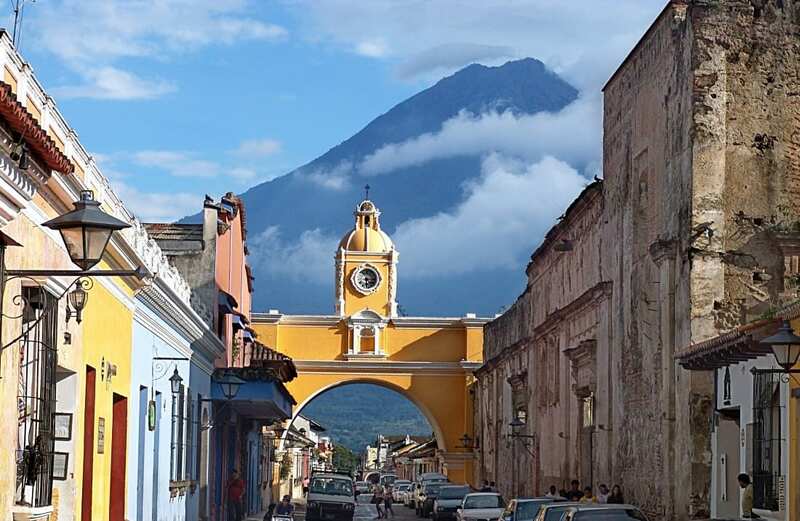 Charming colonial buildings, crumbling cathedrals, vibrant color palettes, bustling markets, buzzing cafes; the energy and atmosphere in Antigua is tangible and infectious. This colonial city hums with life both present and past, a literal living relic. 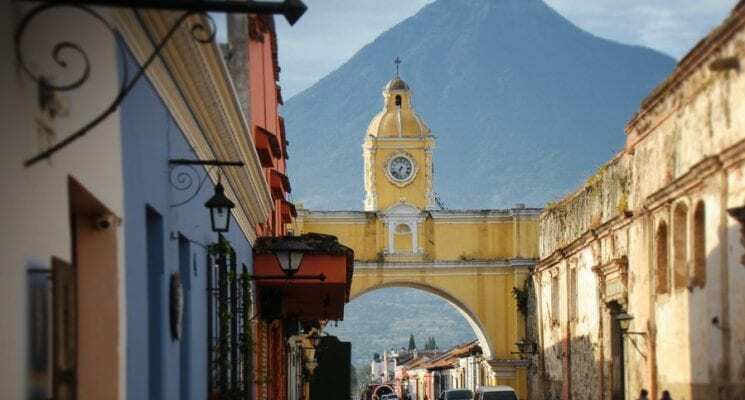 Located just forty-five minutes from Guatemala City in a stunning valley rimmed by sky-scraping volcanoes, Antigua should be on everyone’s “must visit” list while traveling or backpacking in Guatemala. It is truly a unique city, blending a vibrant past and stunning surroundings with rich culture and that gritty urban feeling found in many Central and South American cities. We spent ten great days in Antigua. At no point did we feel like we lacked for things to do, places to see, streets to explore. 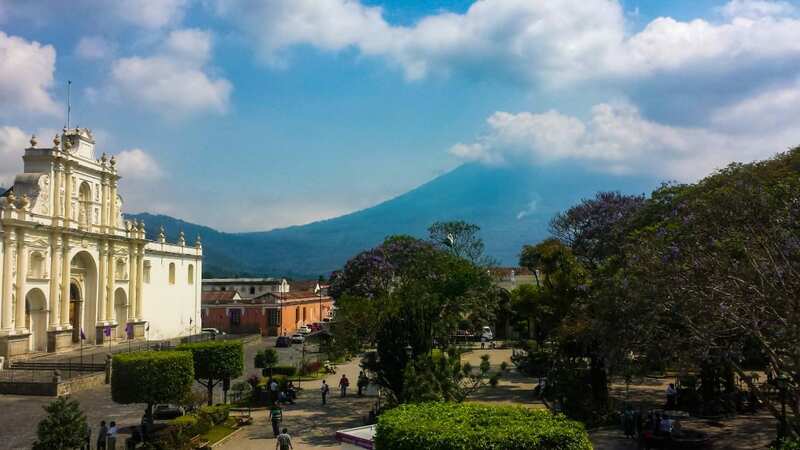 We reckon you can stay twice as long as we did and still not run out of things to do in, or around, Antigua Guatemala. The volcanic mountains of Acatenago (13,045 ft), Fuego (12,346 ft), and Auga (12,356) ft are all visible from Antigua. These majestic mountains are almost close enough to cast their prodigious shadows down upon the city. However, these three volcanoes are rarely hiked. Instead, Payaca (8,373 ft) (an active volcano is about a hour and a half drive from Antigua) is a very popular and affordable option for day hiking and overnight camping. We suggest opting for the early morning tour to reduce your chances of mist and clouds, and have a better view of the surrounding area. Payaca erupted about a month before we went so the rocks were still hot and emitting sauna-like steam and heat. In certain sections the surface area was dry, cracked, barren of any life, and made us feel like we were exploring another planet altogether. It was an incredible day hike, and well worth the time and effort it took. 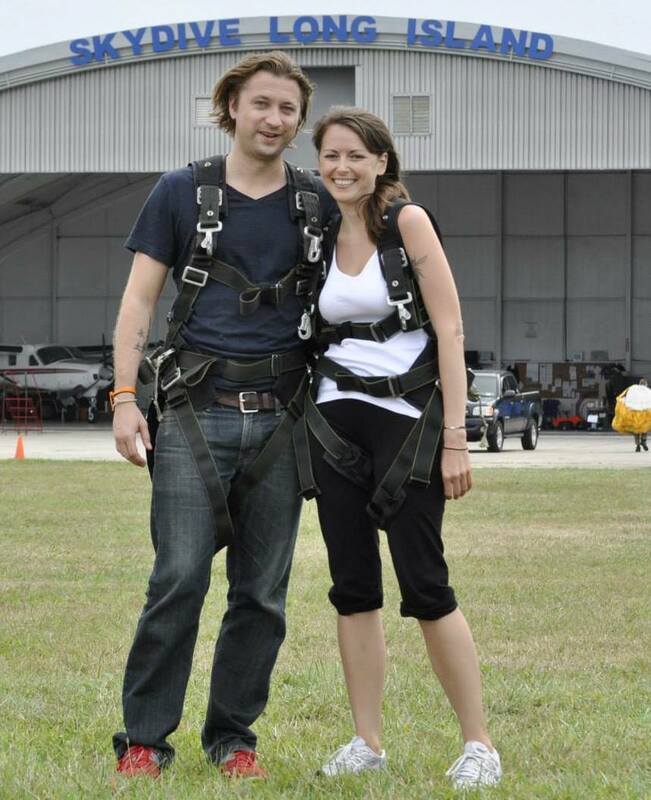 We definitely can’t recommend this experience highly enough if you are looking for things to do in Antigua. Take a thirty minute walk up the hill north of Antigua to Cerro de la Cruz (the cross on the hill) and enjoy a splendid view of the city. Don’t forget to bring your camera, as you can get really lucky on a clear day for an astounding panorama. 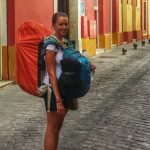 You can do this multiple times during your stay in Antigua if you want to stay fit while traveling, as the walk will definitely make you sweat. 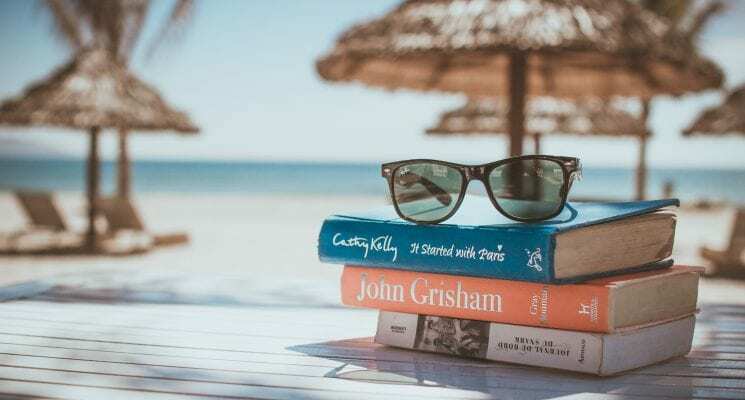 Why settle for just learning some Spanish while in Antigua? Learn to Salsa and join the locals at one of the late night dance clubs. Peruse cafe and restaurant bulletin boards before going, as you can usually find flyers promoting free salsa lessons. The first lesson that is. After that you will have to pay, but something tells you you’ll probably want to. Guatemala is known to have some of the best coffee in the world and it’s quickly apparent after sampling a cup at one of the many cafes in Antigua. Randi was completely hooked on Guatemalan coffee, and consumed many a cup. She missed Guatemalan coffee terribly…until we got to Colombia. But, I digress. For a highly informative and first hand look at how coffee is grown, harvested, and processed, sign up for a coffee plantation tour. The tours all end with a cup of the final product and if you’re lucky, they will give you a bag of beans to take home. What’s better than world-class coffee? Chocolate, of course! 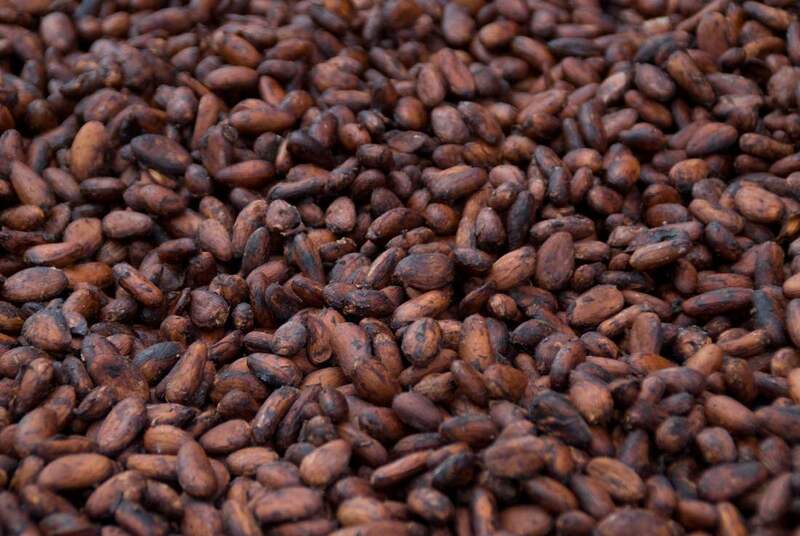 Great coffee is not the only delight you’ll find in Guatemala.The country also produces excellent (nom nom nom) chocolate. 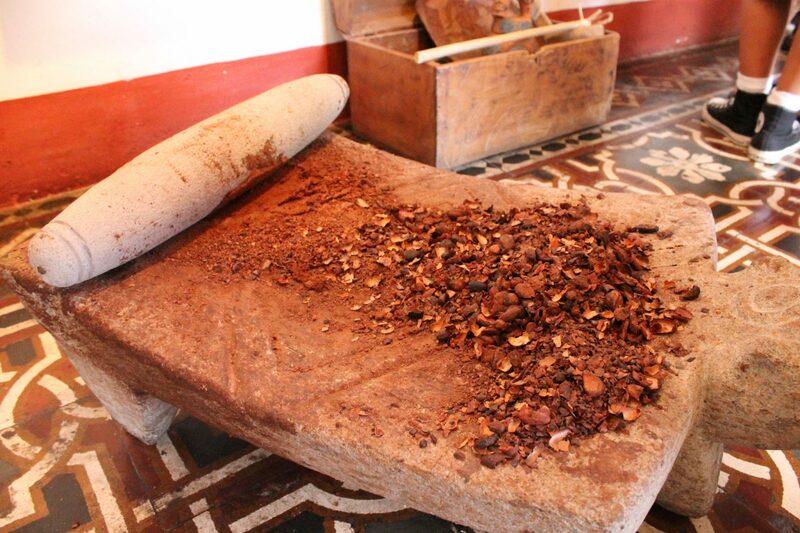 You can take a chocolate factory tour with Choco Museo right in the center of town. The tour even includes a lesson on making chocolate and, of course, a sample of their delicious product. Guatemala has some delicious local delights but if you’re anything like us a little culinary diversity is greatly appreciated after traveling for a while. Chinese, Thai, Mediterranean, and Italian food can all be found and feasted upon in Antigua. If you have been traveling for awhile in Central America and have been consuming rice and beans at a record pace, the food in Antigua can come as a god send. 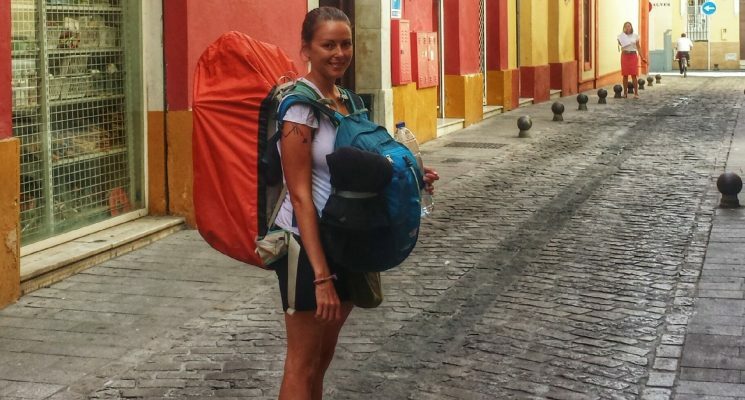 It’s not super cheap, however, so keep that in mind when budgeting yourself when backpacking or traveling to Antigua. 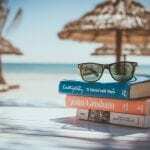 Antigua is known for being one of the best places in the world to take Spanish language lessons. 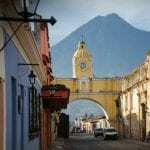 There are a ton of Spanish language schools in Antigua, more than we have ever seen in one place. Most of the teachers are well qualified, the classes are one-on-one, and they are cheap. Check out Spanish School Ixquic where we took classes. Every one of their teachers have over 20 years of experience, are all women, and are the head of their households. Additionally, the school offers fun activities like cooking classes, screen documentaries, and also have plenty of volunteer options of you want to give back to the community. There is no shortage of options when it comes to shopping in Antigua. From Antigua’s local market, to the Mercado de Artisanias, to the numerous local shops, you can pretty much get anything you might need or want in Antigua. There is even an organic health food store and a comic book shop. Take a stroll in Antigua’s Central Park, and enjoy the beautiful surroundings. Cherish the weather in the city of eternal spring, its lively atmosphere, and local flavor. Gaze upon the not do distant volcanic peaks in wonder, while hoping they won’t be erupting anytime soon. Actually, best not do that. Just stay in the moment. The park is a great place to people watch and get the feel for life in the city. Not the best place to be late at night, however. 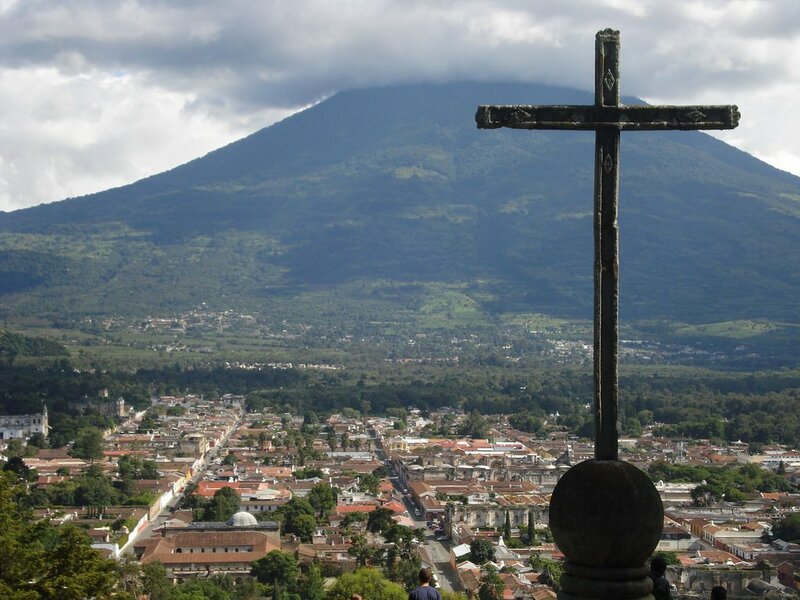 Religious or not, visiting Antigua during Lent is a special experience. The streets of the city erupt with church processions, food stalls, merriment, and Guatemalans from out of town. Each weekend for the forty days leading up to Easter Sunday the town swells with visitors and becomes progressively more and more lively. 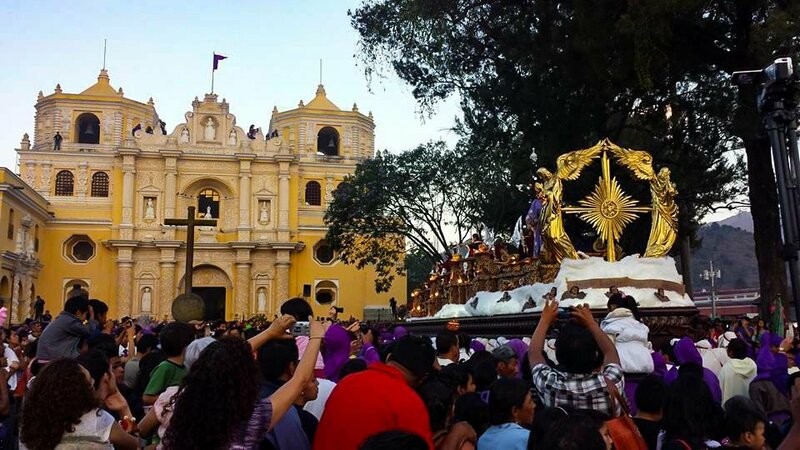 Masses of purple robed Guatemalans carrying floats and statues, flower carpets, and burning incense make for an extremely interesting, if a tad chaotic, experience. 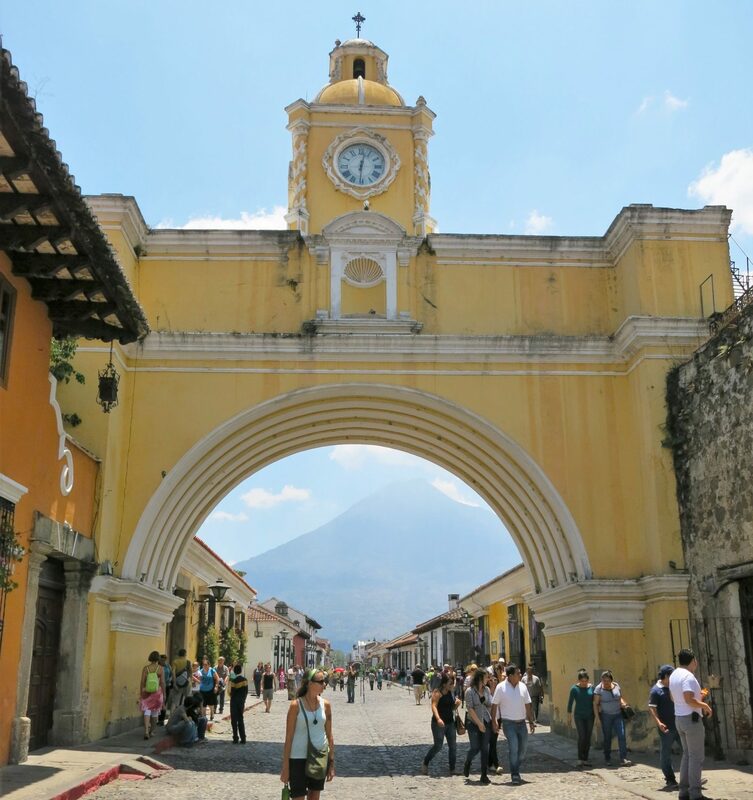 Of you want to know how much traveling or backpacking in Antigua Guatemala costs check out our guide on how to travel on a budget in Antigua, Guatemala! Great wrap up , and perfect for my upcoming trip! Cheers! When are you going? Thank you for good information. I will visit there in next month.